On Wednesday March 28, 2018 at 7:00 p.m. Smithsonian ornithologist Bruce Beehler will talk about his newest book “Travels with the Songbird Migration of Spring” in the Byrd Auditorium at the National Conservation Training Center, 698 Conservation Way, Shepherdstown, WV 25443. A book-signing will follow the talk. In late March 2015, Beehler set off on a solo four-month trek to track songbird migration and the northward progress of spring through America. Traveling via car, canoe, and bike and on foot, Beehler followed woodland warblers and other Neotropical songbird species from the southern border of Texas, where the birds first arrive after their winter sojourns in South America and the Caribbean, northward through the Mississippi drainage to its headwaters in Minnesota and onward to their nesting grounds in the north woods of Ontario. 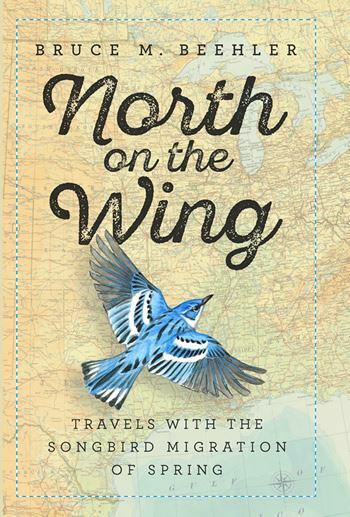 In North on the Wing, Beehler describes both the epic migration of songbirds across the country and the gradual dawning of springtime through the U.S. heartland--the blossoming of wildflowers, the chorusing of frogs, the leafing out of forest canopies--and also tells the stories of the people and institutions dedicated to studying and conserving the critical habitats and processes of spring songbird migration. Inspired in part by Edwin Way Teale's landmark 1951 book North with the Spring, this book--part travelogue, part field journal, and part environmental and cultural history--is a fascinating first-hand account of a once-in-a-lifetime journey. It engages readers in the wonders of spring migration and serves as a call for the need to conserve, restore, and expand bird habitats to preserve them for future generations of both birds and humans. 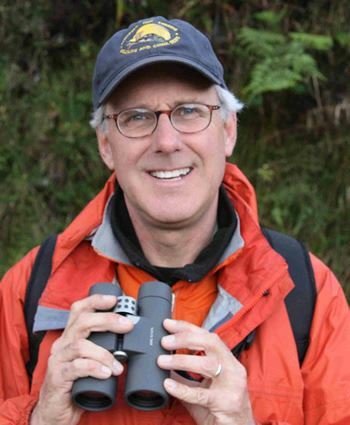 Bruce Beehler is an ornithologist, conservationist, and naturalist. He is currently a Research Associate in the Division of Birds at the National Museum of Natural History, Smithsonian Institution, and is focused on research and writing about nature and natural history. Beehler has spent much of his scientific career studying and working to conserve birds and their forest habitats. After conducting doctoral fieldwork in Papua New Guinea, Beehler worked for ten years at the Smithsonian’s National Museum of Natural History, followed by stints at the Wildlife Conservation Society, U.S. Department of State, Counterpart International, Conservation International, and the National Fish & Wildlife Foundation. Beehler has published eleven books and authored scores of technical and popular articles about birds and nature. In 2007, Beehler was featured in a 60-Minutes piece highlighting an expedition he led to the Foja Mountains in the interior of New Guinea in which scores of new species of plants and animals were discovered. Today, Beehler carries out natural history studies and writing focused on wildlife and natural places in North America. The talk is free and open to the public. No tickets or reservations are required. It is part of The Conservation Lecture Series held at the National Conservation Training Center.